Patara — a unique place in Turkey, which will suit lovers of family holidays. Around the beach is not well developed infrastructure, there are no hotels. On the coast is only one cafe, few toilets and changing rooms. Of service — rental of deck chairs and beach umbrellas. 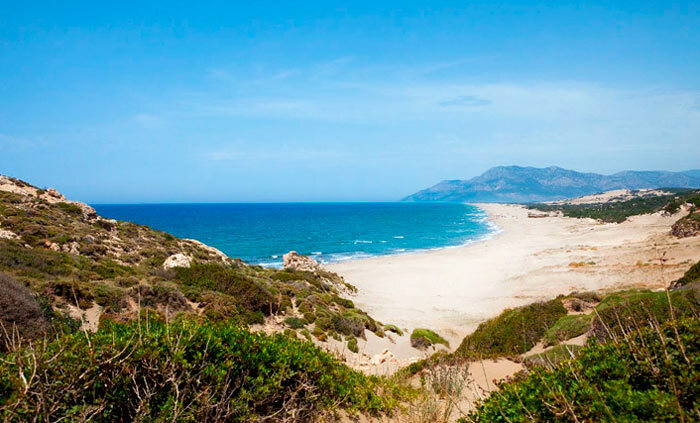 Patara has a sandy beach, convenient access to the sea and the beach is wide enough. This is one of the favorite places for surfers — thanks to high waves, the beach is perfect for walks on the board. In addition, on the beach inhabited by a giant turtle, who diligently studied and guarded by scientists from around the world, so after dark entrance to here are not admitted. On the beach you can not just bask in the sun and swim in the turquoise water. On the entire length of the coastal area can be found the remains of ancient cities and temples, to visit the places where according to legend, the gods of Olympus went.